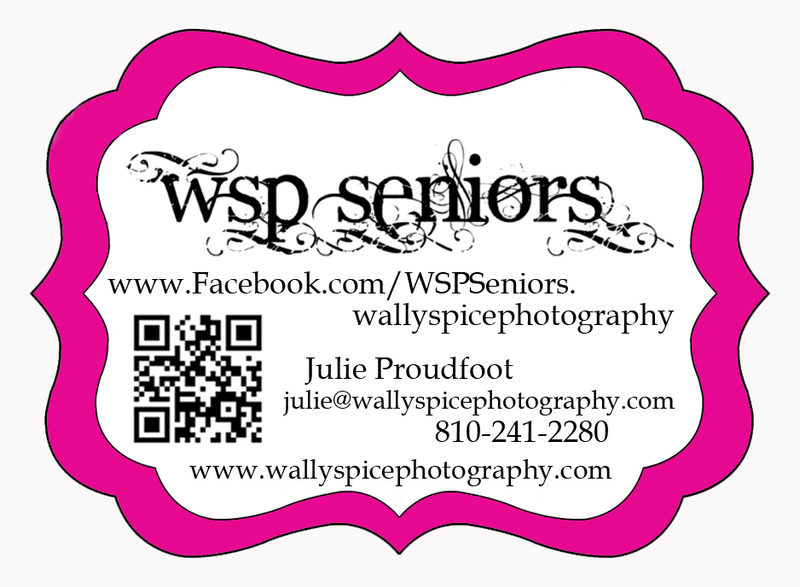 Welcome to the division of Wally Spice Photography dedicated solely to high school Senior photography. This is headed by Julie Proudfoot and she has done a great job growing it to what it is today - It has reputation as the most different, edgy, fun, contemporary studio to go to! It is well loved and respected by the area high schools, teachers, and the seniors themselves. Please note - you DO NOT have to go to the contract photographer for your school - you DO have the choice to go where ever you want to! We CAN and DO get you into the yearbook! Please talk to Julie if you have any questions! Julie has albums based on the locations we frequent - both in studio and on location. We try to upload a sneak peak album or slideshow of every session! Our studio is on Hoover Rd - just north of 13 Mile Rd - (see location page) - and within walking distance of Cousino High School We are by appointment only to provide you with more personal service as we often photograph on location at places like you see here - plus we can always go somewhere totally personal to YOU. Give Julie a call at 810-241-2280! We'd love to work with you!